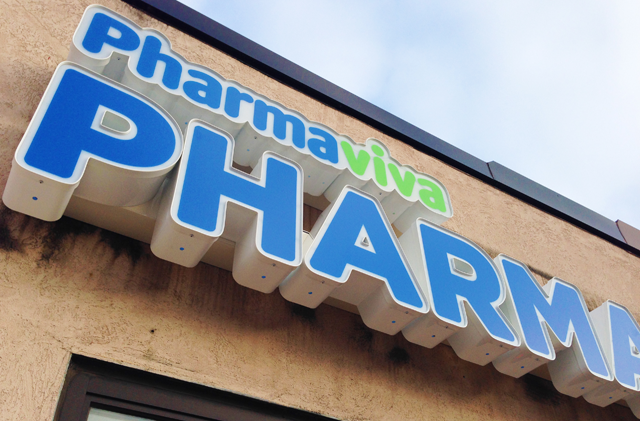 Pharmaviva Pharmacy approached me to develop a new stand-out brand that focuses on the Thorold-based company’s extraordinary reputation of great customer service and approachability. 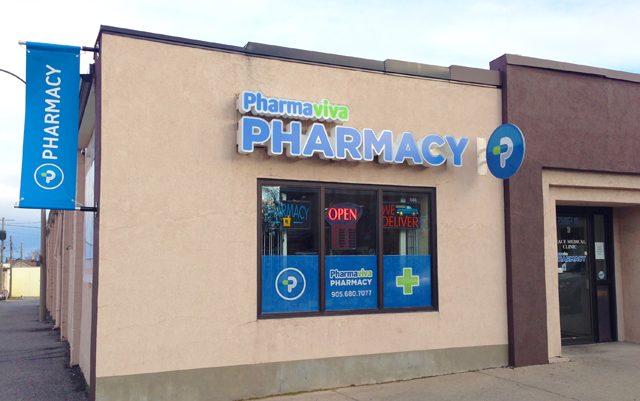 The new design reflects the pharmacy’s values and better suits them with a cohesive marketing approach. The rebrand includes a new illuminated sign, perforated window vinyl and interior wall graphics.